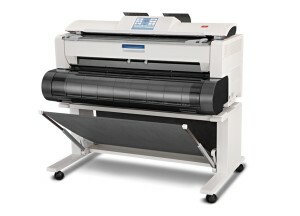 Are you looking for the multifunction KIP 7000 wide-format printer at an incredible bargain? Excellent, then you have come to just the right place. Arizona Copiers offers the best inventory full of superior quality KIP models in the entire state. With our wide array of purchasing options to buy, lease, or rent your new printer, our trained staff will endeavor to provide the best possible solution available. There is no need to worry about exceeding your financial budget, since our company is dedicated to establishing the most affordable prices in the industry. We are committed to achieving 100 percent client satisfaction through our guaranteed prompt delivery, outstanding customer service, and supportive repair professionals. Give us a call today at 602-428-5885 for more information on our services and to receive amazing product quotes. An exceptionally powerful wide-format printer, copier, and scanner, the KIP 7000 provides high demand work environments with the ultimate of production speeds. The system is especially designed to produce output at the lightning-fast rate of 13 “D” sized prints per minute with a 600×600 dpi resolution. It increases print production possibilities for your business by delivering high volume output at a reliable pace to keep up with your busy workload. Monochrome documents containing graphic images, grayscales, text, or fine lines are accurately and quickly printed by this KIP model with ease. For those that wish to upgrade, there are also customizable options for including color copying and scanning features as well. Depending on your preferences, prints are accepted in either landscape or portrait format for printing and finishing options. Users can specify unique finishing features, including folding, stacking, and sorting. The highly advanced imaging technology offered by the KIP 7000 from Arizona Copier provides the capability to scan any original into a variety of different digital file formats. The robust print system is compatible with all standard operating systems, including Microsoft and Mac computers. You can also create color copies directly to office inkjet printers in your network. The integrated touch screen control panel provides advanced system management and maximum quality control for image presets with real-time copy and scan previews. Ensure optimum media usage by viewing and printing digital files with the optional KIP color max software that boasts superior editing features. Why the KIP 7000 Wide-Format Printer is Right for You! Of all of the superior brands in our inventory, all KIP models feature some of the most environmentally friendly features in the industry. The Energy Star qualified KIP 7000 is certainly no exception. The unit enables your business to recycle exhausted supplies, reduce emissions, and utilize eco-friendly toner cartridges for the ultimate in energy efficiency. When you purchase this KIP model from Arizona Copier, you will reduce your carbon footprint and minimize your energy expenses. Call 602-428-5885 to speak with our excellent customer service representatives today to get started on obtaining the KIP 7000 immediately. We look forward to showing you why we are the leading copier company!